Popular Fuji musician Wasiu Alabi Odetola widely called Pasuma in this recent interview with Kayode Aponmade talked at length about his life story and his relationship with top Nolly actresses, K1 and how he made it in life. 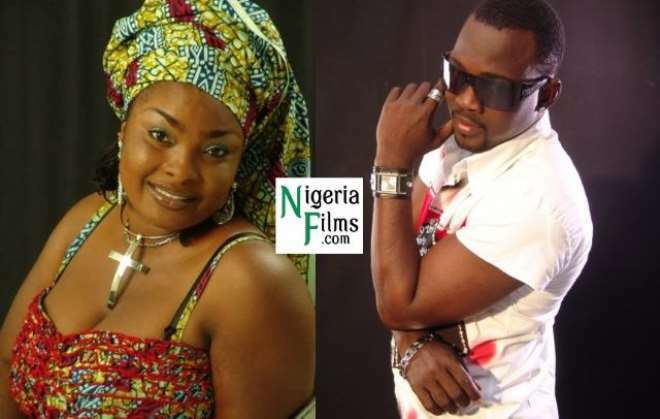 He also said he is dating popular Yoruba actress Ronke Odusanya aka Flakky Ididowo and the two are planning to marry soon. You have dated some actress in the past. Yes I have dated one or two actresses. Which of them have you dated? Are you getting married to any of them? Well I am in a serious relationship with Ronke Odusanya a.k.a Flaky Ididowo, if things work according to plan we might get married soon. So is it a probability? If you say so fine, though everything is in God's hand but I can assure you that we are in a serious relationship. You held an event recently, what was the motive behind the event because to some people you are contradicting an early claim? Well, some people do not understand my history, but let me put it straight. What I did was not 20 years on stage but 20 years as a recording artiste. I had my 25 years on stage at Water Parks in 2009, because I recorded my first album in 1993. The album is titled Recognition because I was seeking for recognition then. So 1993 to 2013 is 20 years. My manager Folabi Oyekoya and I came out with the plan which we executed on 20 October, 2013 that is the truth. So you started so early? I'm not too young because I started playing or performing on stage since 1984 after my secondary education. Then you have been on the street for a very long time. Yes. I started as a street boy and that makes my life an interesting one. It is very interesting because if you are not careful the street could choke you. I believe if you are on the street you would be wise and you will learn something either good or bad. Being on the street with prayers make me what I am today. What lesson has the street taught you? Being on the street makes me a Fuji musician. The street experience made me a successful Fuji musician because my father did not want me to play Fuji. His desire for me was to study either law or engineering but man proposes and God disposes. Were you a rascal then? It's not being a rascal, but Fuji music is a street music because it emanated from Were music unlike Juju which takes its root from gospel or church music. Thank God that I learnt good things from the street and today I am somebody. You have a grown up daughter in her 20s, was that part of street experience? Not really. Though I had my first child when I was 23 and by the time she was born, a lot of people thought I was not serious then. Thank God that she is 23 now while I will be 46 on November 26. The girl is now my friend and confidant. Is that why you have refused to get married? No, I have been married once but it did not work. Mind you marriage is a life time contract, so I don't want to rush into it. But I can assure you I will definitely move into my new house with a wife soon. What are the challenges of being a musician? When we started it was not easy because things were really rough. But thank God we are enjoying and making money from it. It is the grace of God that keeps us alive. How is your relationship with fellow Fuji musicians like K1 the Ultimate, Saheed Osupa and others? It's been cordial because K1 is our leader, my mentor and he is one person that has and still continues to inspire me. I purposely went into music because of him. For your information, I started playing music in 1984 and that was the year K1 came out with Tala '84. So I accord him that respect. As for Saheed Osupa and others, we are in a cordial relationship. They play their music and I play mine too. Why did you drop the Otunba K1 title if your relationship with him (K1) is cordial? Change is natural and when change comes there is nothing we can do about it because K1 himself was formerly using the name Wasiu Ayinde Barrister before he changed to Ayinde Marshal and now K1 the ultimate. So if I decided to move from Arabanbi 2 or Otunba K1 to Oganla Fuji there is nothing bad in it. More so, K1 is very understanding, he knows where I was coming from. So you don't have any problem or quarrel with him? You can ask him but as for me I bear no grudge against anybody. I am doing my things and they are doing theirs too. What new thing are we expecting from Pasuma now? A new album which will be released in December under Sarolaj music owned by Olatunji Sarunmi. But the title is unknown yet. No, I don't have any regret. There are certain insinuations that you have over 20 children, how many do you really have? Those who are saying that don't really know me, but I believe in the Yoruba proverb that says 'won o kin ka omo fun olomo', I implore people to find out the fact. How many do you really have? I have four in the US and another four here so you can add that together. What kind of person is Pasuma off stage? Pasuma is a very humble person. I am also an indoor person, I watch movies a lot, especially when I don't have a show, I also watch football too because I am an Arsenal fan. Do you do any other business apart from playing music? No I don't have other business except Fuji music and I thank God for that because I m making money from it.